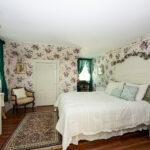 Located on the second floor with a full private bath with a Jacuzzi tub. It has a desk and chair overlooking ancient maples and Mt. Monadnock. 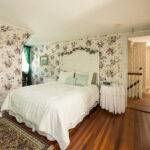 It features a queen-sized bed with antique headboard and individual heat control.